This new book by nationally known editor and photographer J. David Ingles features over 450 color photos, virtually all unpublished, from the mid-1950s past the 1964 Norfolk & Western merger. Coverage stretches from Buffalo to Kansas City with emphasis on Detroit, central Illinois, and St. Louis. 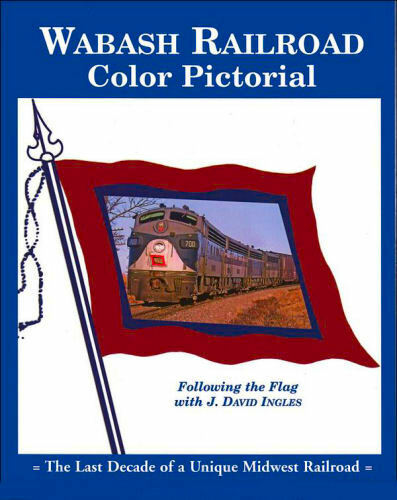 included is a thumbnail history of the Wabash Railroad, and photo galleries featuring Wabash depots, passenger cars, freight cars, plus an index and system map. Hard cover.